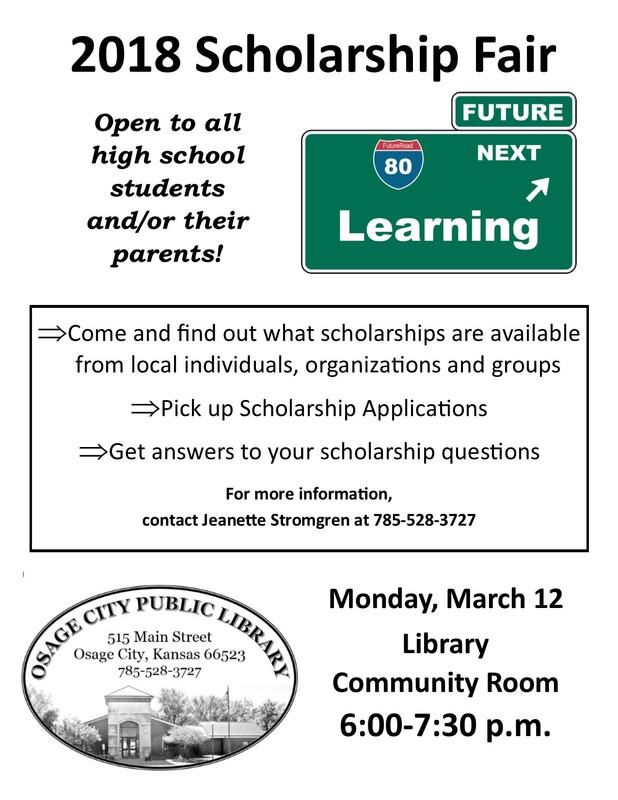 Osage City Public Library – Page 2 – Explore Your Library, Expand Your Mind. Call 1-800-633-5621 to make a reservation. Join us for this free class. There will be a drawing for those who attend. 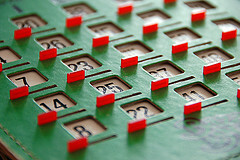 Join us at 1:30 for an hour of Bingo. 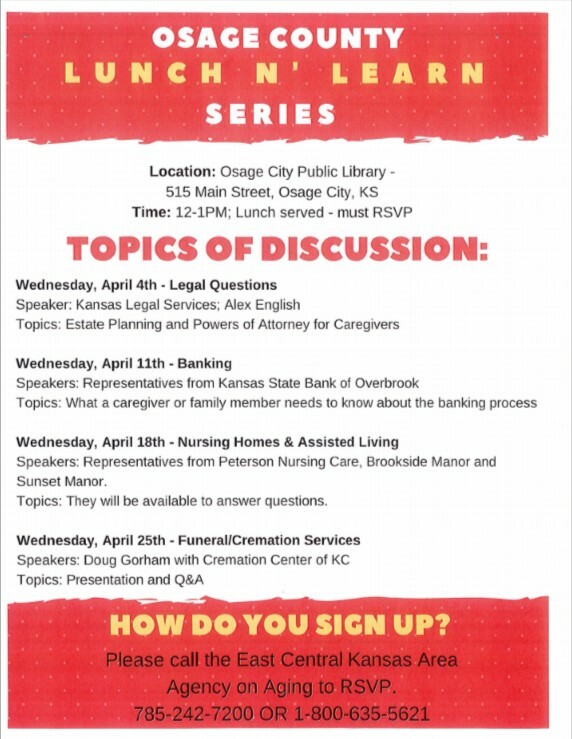 AARP will be at the library on Tuesday, March 13 to provide Free In-Person Tax Preparation. 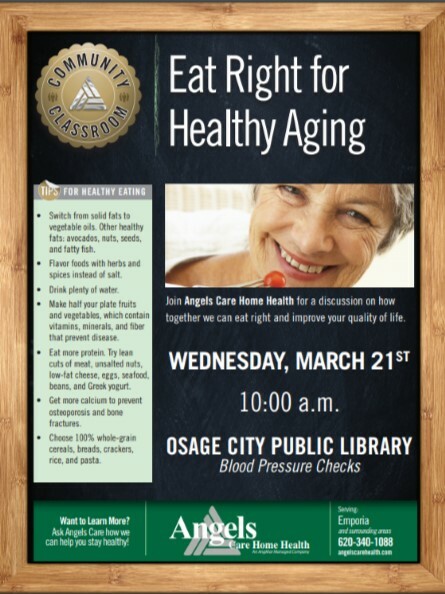 There is only 25 spots available and sign up starts today, February 26. 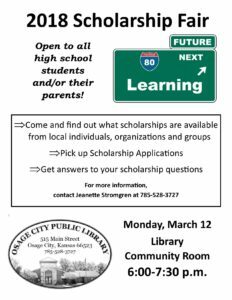 Please call the library at 785-528-3727 if you want to sign up. 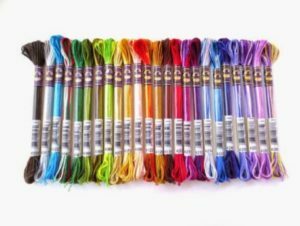 The Osage City Public Library are in need of empty breath mint containers, such as Ice Breakers and Altoids and Embroidery Floss for some upcoming class. 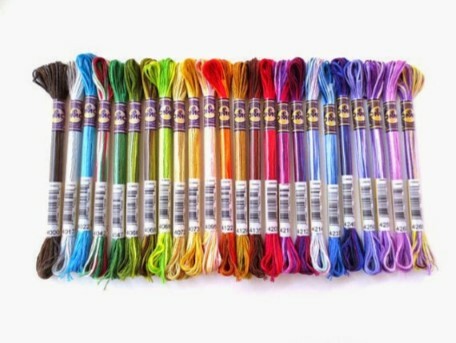 If you would like to donate, we would greatly appreciate it. 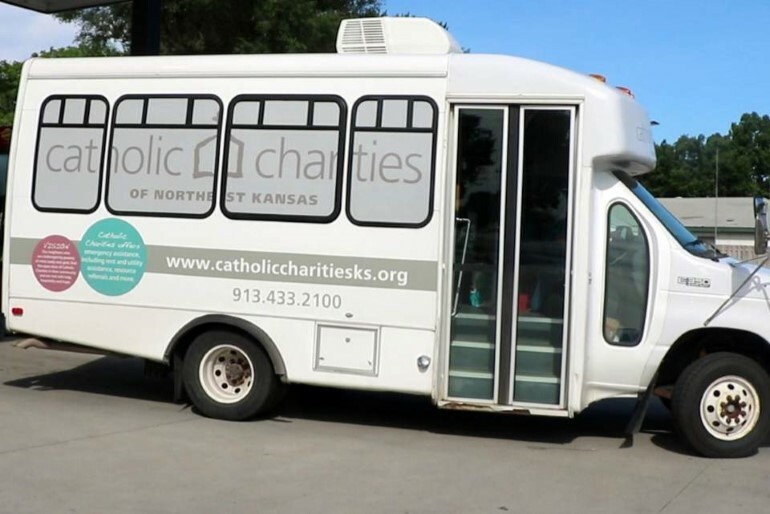 Catholic Charities brings their Food Pantry, Clothing Closet and Resource Bus about every 6 weeks to the Osage City Public Library. We are needing volunteers to help. There are two shifts: 9:30AM-12:30PM and 12:30PM-3:30PM. Can you help? You will work with others and you will be trained. It is a fulfilling opportunity to help those in our community. 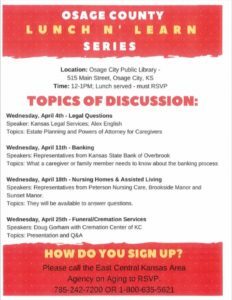 If you are interested in volunteering or need more information, please call the library at 785-528-3727 or Catholic Charities at 913-433-2083. Please share this post, so that we can get the word out. Thank you. USD 420 has cancelled school for tomorrow, Thursday, January 11. The library will be closed as well. Stay safe. 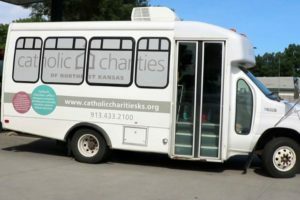 Catholic Charities Food Pantry and Clothing Closet will be at the Osage City Public Library on Wednesday, January 31 from 10:00-3:00.
please call 913-433-2039 to schedule an appointment.